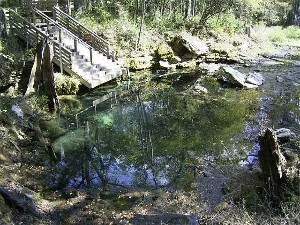 Located just outside of Luraville, about 5 minutes from Peacock Springs State Park, Cow Spring is a privately owned spring. The Cave Diving Section of the National Speleological Society purchased the land several years ago and controls access to the spring. This is a cave diving destination only. In order to dive here you must be a CDS member, full cave trained and it is recommended you are an Abe Davis Award recipient. The key to the gate is obtained at the Dive Outpost where you must show proof of certification and sign a waiver. There is both an upstream and downstream section to this system. The entrance to the upstream section is not easy to find and the first dive here should be done with someone familiar with the system. The downstream section is a syphon that gets small about 200′ back from open water. This is also an advanced cave dive due to the high flow of this system. In 2015, the CDS added steps to the bank of the basin to help control erosion. Entrance to the water is now much easier and safer. Cave diving training capital of the world. 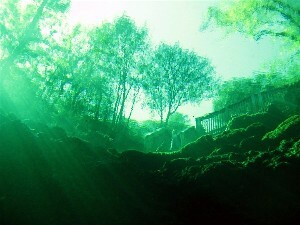 More divers get trained to cave dive at Ginnie Springs than anywhere else. 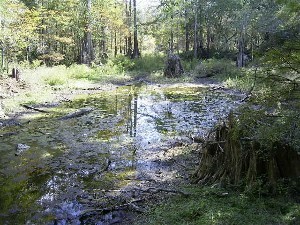 Ginnie springs, which is privately owned, has several springs on the property. Three of them are divable caverns/caves. 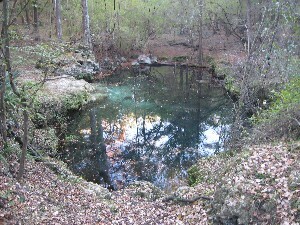 The spring the property is named after is a cavern dive. 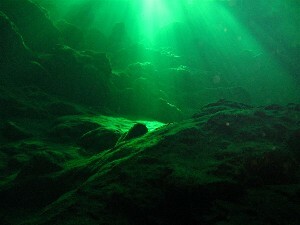 It is the only cavern in the world open to the public where open water divers can dive with lights. The certifying agencies even allow night diving in this spring. It’s a fairly safe cavern that gets down to about 55 feet. The entrance to the cave was grated off years ago because the cave system is too unstable for it to be safe for even the most experienced cave diver. Lots of open water training happens at this spring. 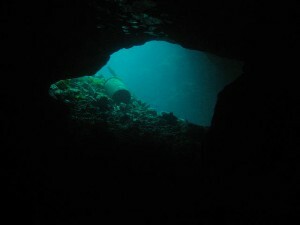 You can easily spend a few dives exploring the cavern. 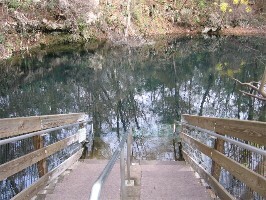 Entry and exit into the basin is fairly easy with a sidewalk leading to the water and steps into and out of the water. 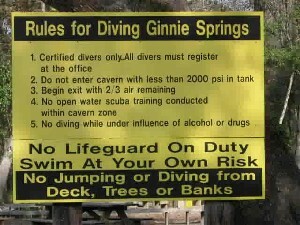 Devil’s cave system is located several hundred yards from Ginnie and is a true cave dive. This is a high flow system which requires a carefully planned entry and exit. 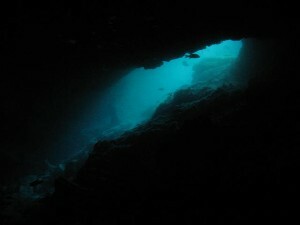 Not a worthwhile dive unless you’re cave trained. You can only get in a few dozen feet before you hit the grim reaper sign through the Ear. You won’t even get that far through the Eye. Here, the cave takes a couple of different routes. One route can take you a few miles in and easily lost. 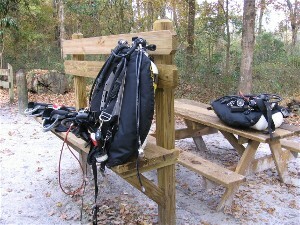 There are air fills, food, dive gear, and more available on site. They also have several campsites and hot showers. And, of course, there are rules. 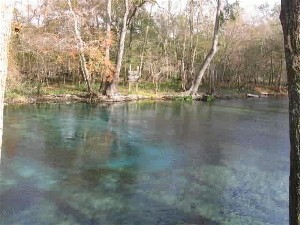 Located just outside of Branford, about 45 minutes from Ginnie Springs, Little River is a spring just off the river. 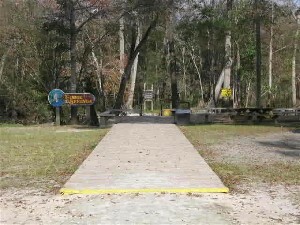 The park is currently operated by the county, but is in the process of being transferred to the state at which time it will become a state park. A few years ago the county constructed wooden steps down to the water making entry into the water much easier. This is a cave diving destination only. 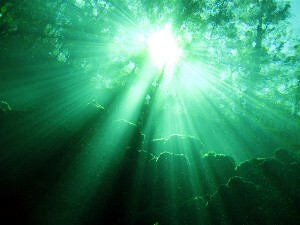 There is no open water diving to speak of. Little River is a high flow system with some significant current. A boil is visible on the surface just above the opening. Madison Blue Spring is located in north Florida just east of the town of Madison. It is located in a state park, which means your state park pass will work there! The basin ranges in depth from 5′ to 35′ and runs off into the Withlacoochee River. It’s a couple hundred feet to the top of the steps leading down to the water. 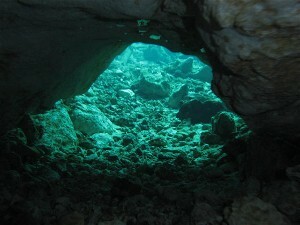 You must be at least cavern trained and certified to dive here and accompanied by a cave diver or instructor. And there is a limit on the number of divers that can be in this system on any given day. 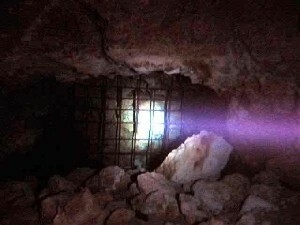 Twelve cave divers and the system is considered at capacity. The reason for this is the passages are on the smaller side and are easily silted out. So make sure you get there early if you plan on diving. Bring your own air. The closest air fill station is almost an hour’s drive away. The main entrance is to the right side of the basin from the steps. It is a fairly large entrance, but the flow from this first magnitude spring can make entry a bit difficult. 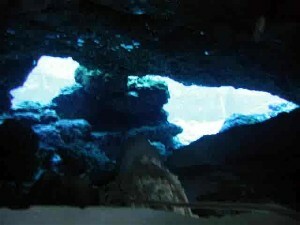 This is the entrance used by cavern divers. The cavern is a decent size and offers quite a bit for the cavern diver to see. 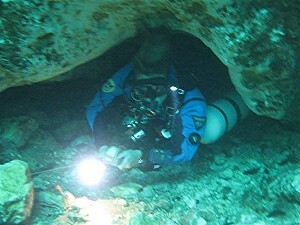 The more common entrance used by cave divers is the rabbit hole. The rabbit hole is located almost directly in front of the steps. It is also much smaller than the main entrance. This entrance is small enough to be considered a restriction. 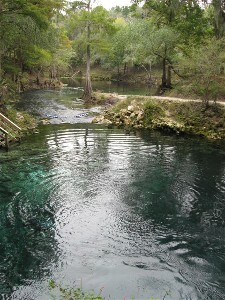 Located between Mayo and Luraville, about an hour from Ginnie Springs, Orange Grove is part of a large system of sinks and underwater rivers in the Peacock Springs State Park. This park mainly caters to cave divers. However, open water divers are allowed to dive in Orange Grove sink with an instructor. No lights are allowed unless you are at least cavern trained and certified. In the deeper part of the sinkhole you may find the entrance to Lower Orange Grove. This is a separate short system in the park. Maximum depth is about 170 feet and it averages about 120 feet around a large breakdown room. Wes Skiles Peacock Springs State Park is located in central north Florida near Luraville. This is a state park pretty much dedicated to cave divers. 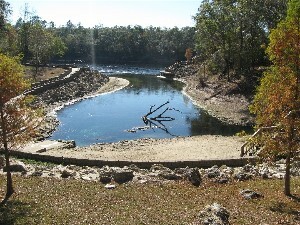 There are hiking trails, and when the water levels are up, people can swim and snorkel in the basins, but most people in this park are there to enter one of the various entrances to the Peacock system. Peacock I is one of the more popular basins/entrances in the state park. 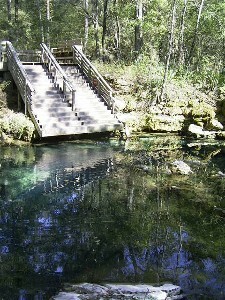 It’s a shallow basin with steps, constructed by cave divers, leading to the water. The basin leads down a run to the Peacock III system entrance. Peacock III is one of two entrances in the park that doesn’t link to the Peacock I system. 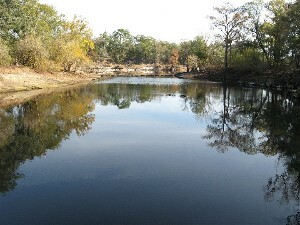 Peacock Springs State Park also has several tank stands located throughout the park. These are conveniently located near all the normal cave entrances. The fee for entry is $10 per diver or $80/year for a state park pass. If you live in Florida, the state park pass is well worth it. Troy is located between Mayo and Branford. It’s an 70-80 foot deep sink (depending on the water level) right off the river. It’s an open water diving area with some small overhead areas on the east side of the sink. This is a state park and no solo diving or dive lights are allowed. The sink captures the sun rays and scatters them throughout in a beautiful pattern. 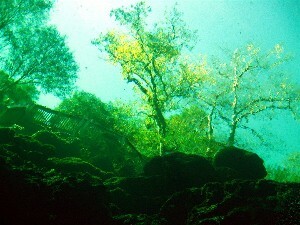 And the clarity of the water is so amazing you can see the trees from 40 feet below the surface. The life in the sink is simply amazing. 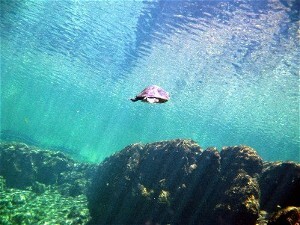 You can expect to see large fresh water turtles, small fresh water flounder, and striped bass. 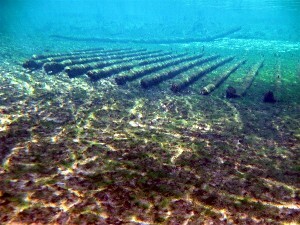 There is even the remains an old paddle wheeler that grounded itself in the spring run in the 1800s.